A fifty pound non returnable deposit required when booking.all money must be paid eight weeks before start of holiday. 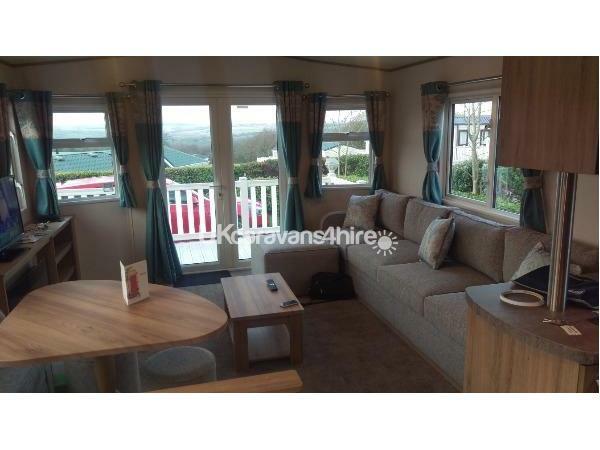 This caravan for hire is situated on White Acres Holiday Park. 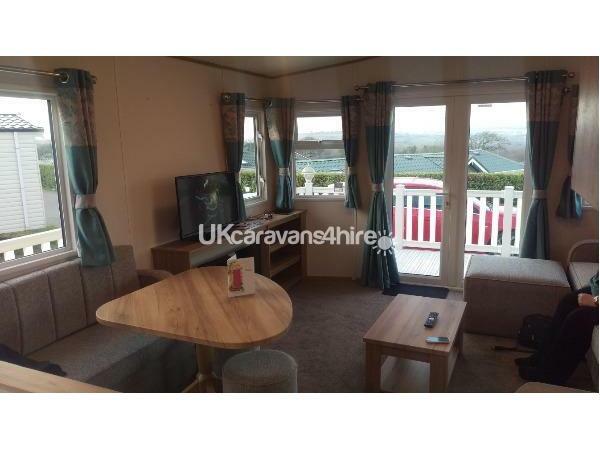 The caravan has great view of the surrounding area. Plenty of space in the sitting area, flat screen TV. lots to do on this site such as fishing also a club with sky TV restaurant, bar, swimming pool, sauna and Jacuzzi,also a well equipped gym for the energetic.Also the site has Wifi available at a small cost online it has a good coverage around the park up to four devices. 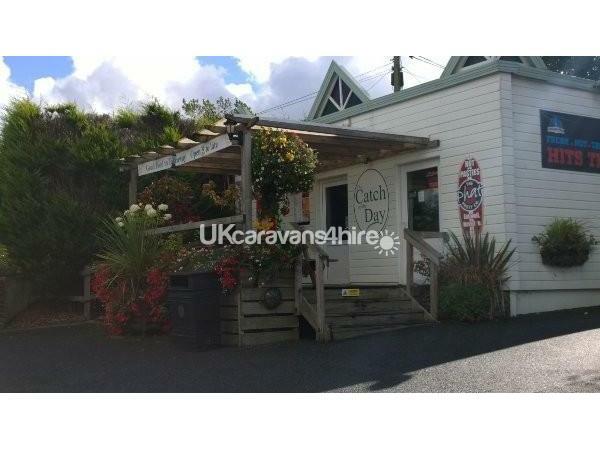 Newquay is only a short drive away with a lovely beaches and plenty of shops for the Shopperhollics out there. 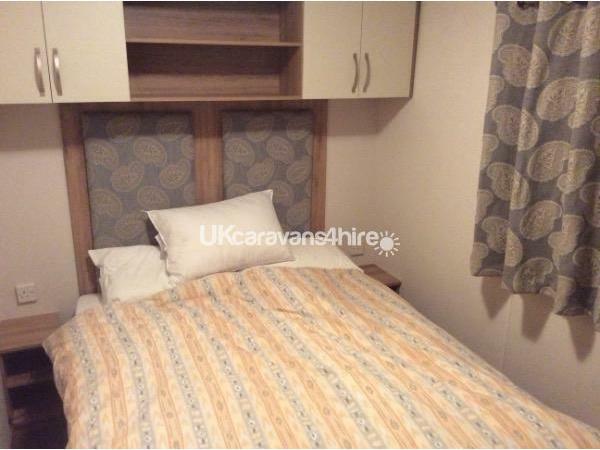 This caravan is for hire from Saturday to Saturday,No time wasters please Thank you. We are now taking bookings for 2017.Please keep your bait in the tackle boxes provided thanks. We have 2 padlocks for the outside storage boxs one metal & one wooden after your stay could you please bring the padlocks back into the caravan thank you. 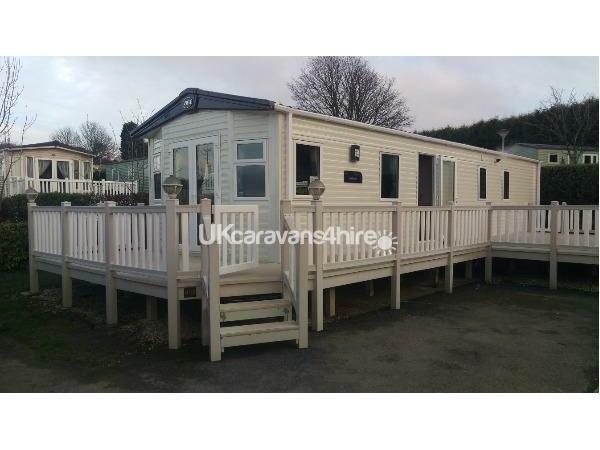 Please remove muddy shoes & boots before entering our caravan please and no barbecue on the decking all damages or breakages to be reported to jenny Applewhite on 0748374763 who does the cleaning and payed for. 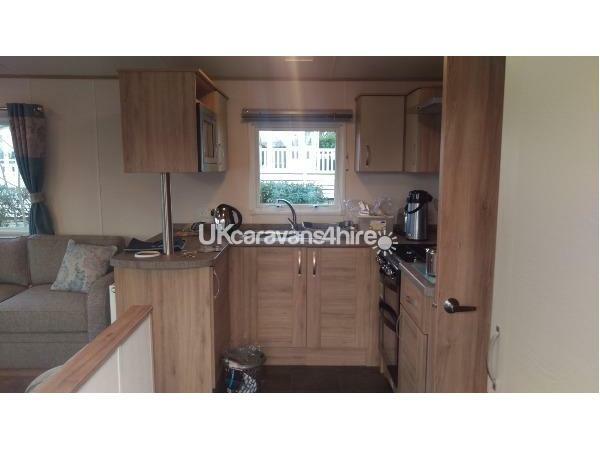 This is a new caravan for 2017 now situated on Oak forest on a very popular pitch no 403,It is a very short walk to all site amenities. Entertainment passes are available from reception at £10 high season & £8 low season children under 2 are free.The Lakeside family club with bar plus live entertainment is open nightly you will need your pass for this.Please no eating in the bedrooms thanks.bedding is provided. Beautician* opposite entrance to park. Chargeable Wi-Fi is now available throughout the park although still free in Polkeris bar areas. Free Wi-Fi is available in the Polkeris bar area. Lovely stay this August. 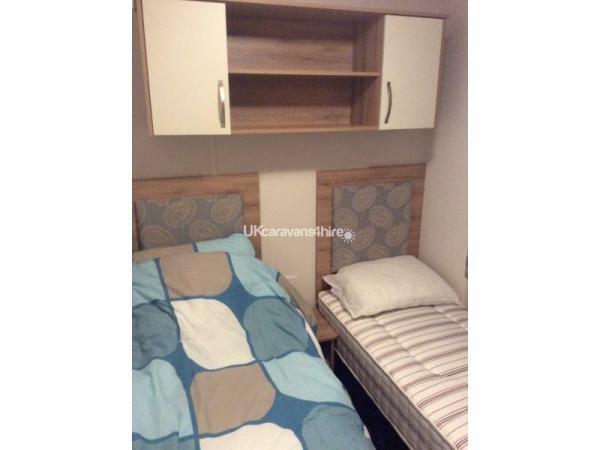 Very clean and provisioned caravan in a great location. Parking for two cars was fantastic, great big sofa. Everything was brand new and barely used. 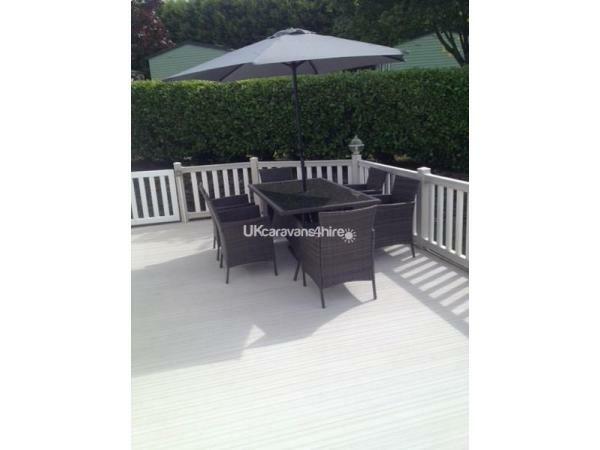 Very quiet cul-de-sac and fab decking area with patio set. Would highly recommend to anyone and will definitely give James or Adrian a call to rebook upon our next visit to White Acres. 10 out of 10.
thanks for the nice review many thanks. 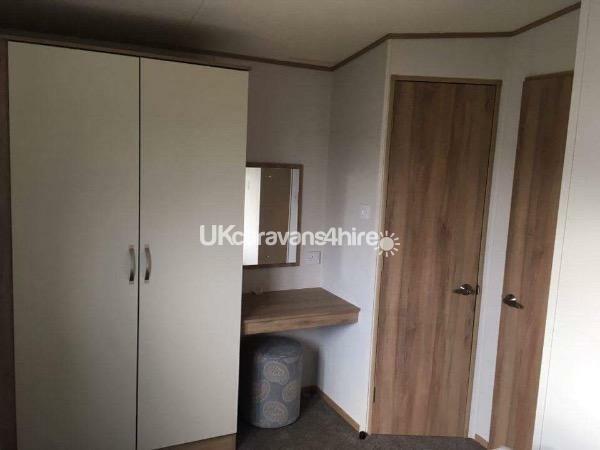 We paid £700 for this caravan in the chestnut forest area (248) as the views from here are stunning. The van was of average price but it was not of average standards. 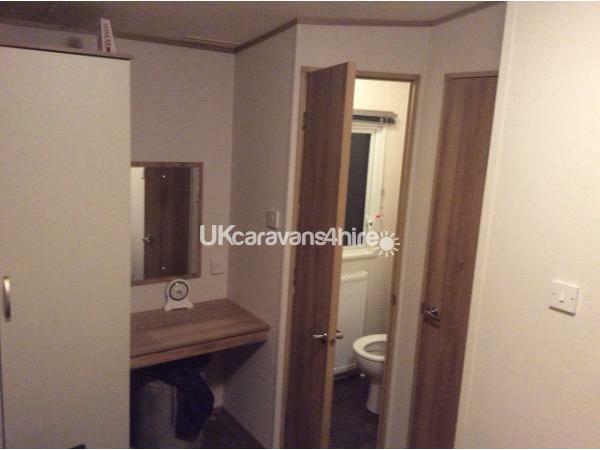 When arriving at the caravan the cleaner was leaving having told us she had to spray air freshener everywhere because of the smell. After a few hours once the air fresher smell had started to subside we found out why. 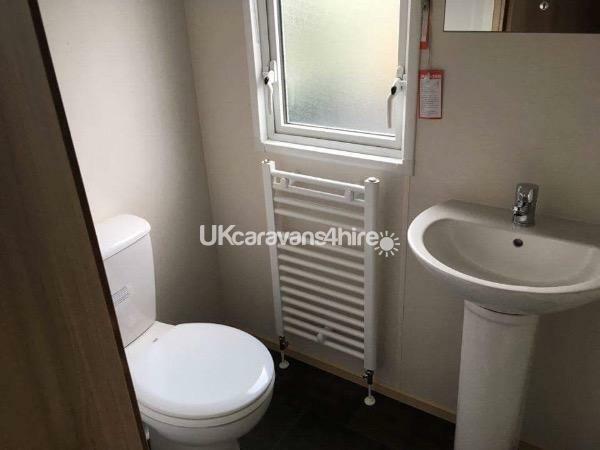 One of the small bedrooms stank of urine, also the couch in the living room did too, the carpet smelt and the duvets that were tatty and old also smelt. It was over powering! 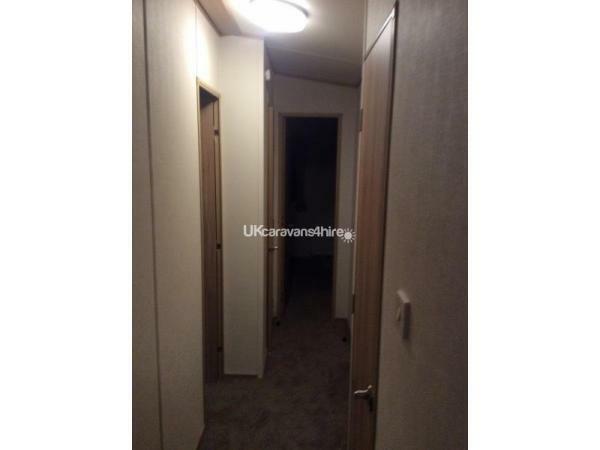 There was mold around the caravan including on the curtains and one of the lamp shades. Nobody slept a wink that night. We spent Sat afternoon and Sunday buying cleaning products and air fresheners and trying to get rid of the smell, not how I expected to spend the first couple of days of my holiday. Especially being in tears. Fortunately a very kind lady who works there saw how upset and stressed it had made me and managed to get us another van to stay in.Other wise our holiday was ruined. We packed up as quick as we could with 2 young children and then finally unpacked again in a smell free van! To me honesty is the best policy and this was not the case here.We were led to believe the van was in good condition and not informed of the problems and you expect when people take so much money off you that you will get a good service. This was not the case. Just hope it gets sorted before the next family arrives. No refund or compensation for the days lost and extreme stress it caused me and my family was offered. Will not be staying here again. Cat we please remove this review because it is not relevant to this van it was for an old van that we no longer own thanks.